Are you always on the look out for more storage ideas? I know I am. With my girls’ bedrooms appearing to burst at the seams from time to time I long for more space and greater storage. I’m sure I’m not alone in this quandary so thought I’d put together some ideas on how to find storage in the more unusual spots within your home. You may have thought of some of these already but if not, then hopefully I will have provided you with some great extra storage solutions. If you look up above your eye line you will often find spots to create extra storage. 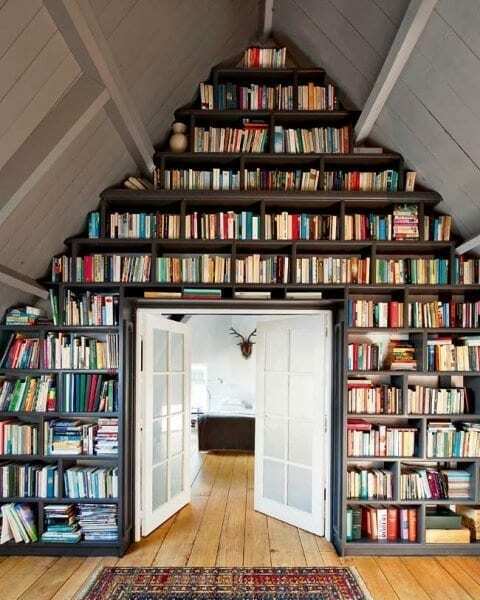 How about shelving high around the room or above the doorway to house all those extra books? Or what about some pretty storage boxes on top of the wardrobe to store away winter clothes or duvets and bedding? Remember anything up high and you’ll need to be able to access it at some point. Backs of doors are great for shoe storage, for coat hooks that hang towels and dressing gowns. But don’t forget the inside of cupboard doors too. I love the way this door has been turned into the craft storage, such a fabulous idea. Wardrobe doors are great for hanging jewellery, ties and scarfs, or any kind of accessory really. 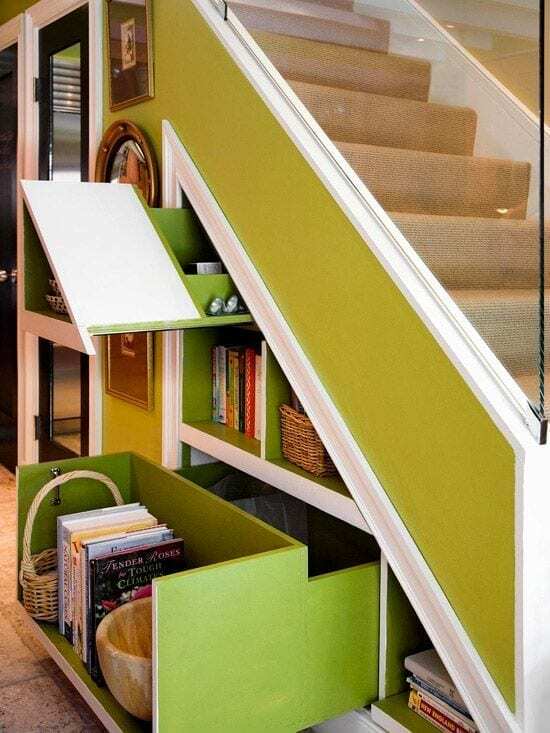 A great place to look for extra storage is the ‘dead’ space under the stairs. 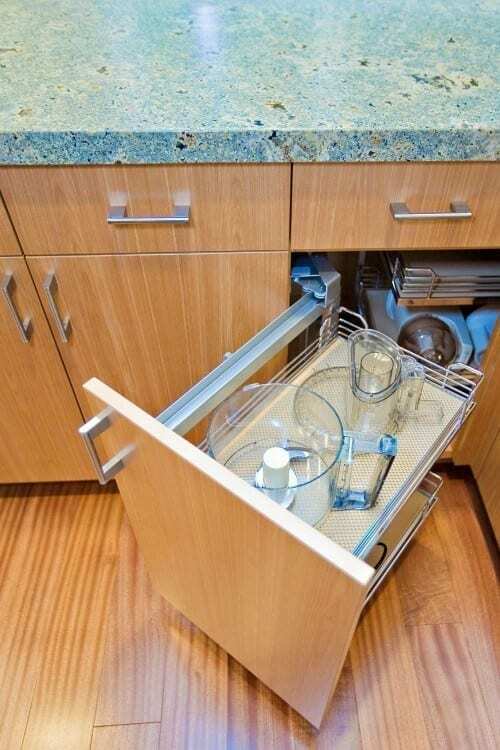 You may be lucky enough to have a cupboard there but are you making the most of the space that you have. I know that we certainly aren’t in ours, and that’s why I love this idea! In fact, in this photo the home owners have created this extra storage alongside the cupboard – this really is the dead space that no-one ever uses underneath the stairway. Ensure you use the corners of your room to full effect. A tall slim cabinet in one unused corner of the room would look inconspicuous and house lots of paraphernalia. And don’t forget the corner cupboards in your kitchen too. 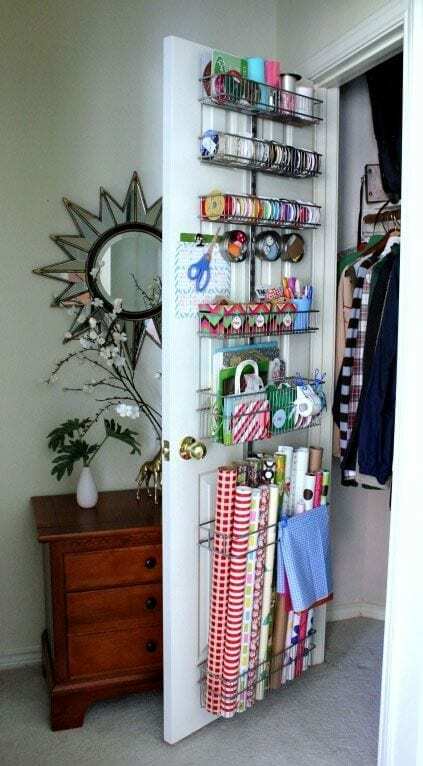 Often this is where we finds lots of wasted space, I know this is the case in mine but there are great ways to make the most of it and turn it into something useful, just like in this image above. Use good quality boxes as these will be more sturdy allowing you to stack them. Completely fill boxes and distribute weight evenly – this will stop stacked boxes collapsing. Pack heavier items in smaller boxes to make them easier to lift. It is also a good idea to reinforce the bottom of the boxes with parcel tape in both directions. To utilise storage space take any larger items (e.g. furniture) apart to store it. Clearly label all of your boxes and keep an inventory so that you know where everything is when you need it. Place items you will need first at the front of your storage space. Cover furniture with dustsheets and protect the legs with bubble wrap. Do you have any other great tips for storage ideas in the home? I would love to hear them if you do. And if you’re looking for help with your decorating, or need some advice and guidance with a room makeover, don’t forget my newly launched business Love Chic Living Consults, an online design inspiration service. Drop me a line if you’d like to know more! Nominated Best Home Interiors Blog – Cosmopolitan Blog Awards 2013 – Please Vote Here ! fabulous ideas I love thenm all! 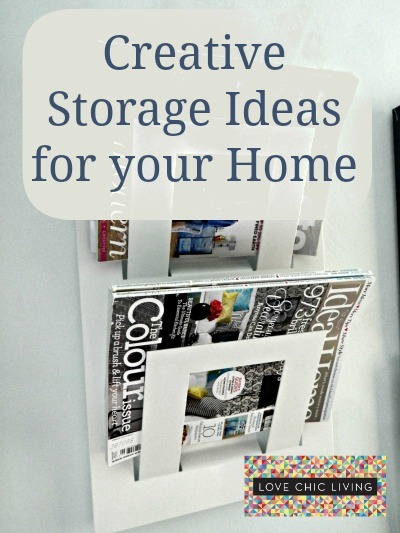 Great and creative ideas on creating more storage space in your home. Your garage is another place to look. Usually there’s plenty of space above the garage door opener to add some storage. Just be careful not to rest things on the garage door opener tracks. Quirky ideas and great design. I like under the stairs ideas.